This is the final post dealing with water fluoridation in my week-long series discussing both sides of the water fluoridation debate. Hopefully you enjoyed the articles this week. If not, don’t worry! I’ll be back into my regular oral health writing routine next week. In this article, I’ll share a few of my own thoughts on the water fluoridation issue. I do see valid arguments to both sides, and to be quite honest, I’m torn. I think that the best way to express my feelings on the water fluoridation issue is to talk about two children — first, my son, and then someone else’s son. I brush my children’s teeth every night before they go to bed. When I started using fluoride toothpaste with my son, I made sure he spit it out. I feel like my wife and I are in charge of his oral health, and that he wouldn’t have any cavities with or without water fluoridation. With that said, I think that the only thing that would happen to my son as a result of drinking fluoridated water would be mild dental fluorosis. We get fluoride from a number of sources. I sometimes wonder if water fluoridation will provide enough extra fluoride to push him over the edge and cause his teeth to have the white speckled appearance characteristic of mild dental fluorosis. Contrast this with the story below. Now, imagine another child who grew up with parents who don’t really care about oral health. We’ll call him Leroy. Leroy’s parents let him eat candy all day and they are too busy to worry about brushing his teeth. Water fluoridation is the only thing that Leroy has working in his favor when it comes to oral health. His parents don’t even take him to the dentist. In Leroy’s case, water fluoridation could potentially keep his baby teeth in good enough shape that he doesn’t get an infection from a tooth with a large cavity. In this case, water fluoridation is a great thing! The fluoride he receives every day when drinking could keep that little boy from having to go to the hospital due to a dental infection. 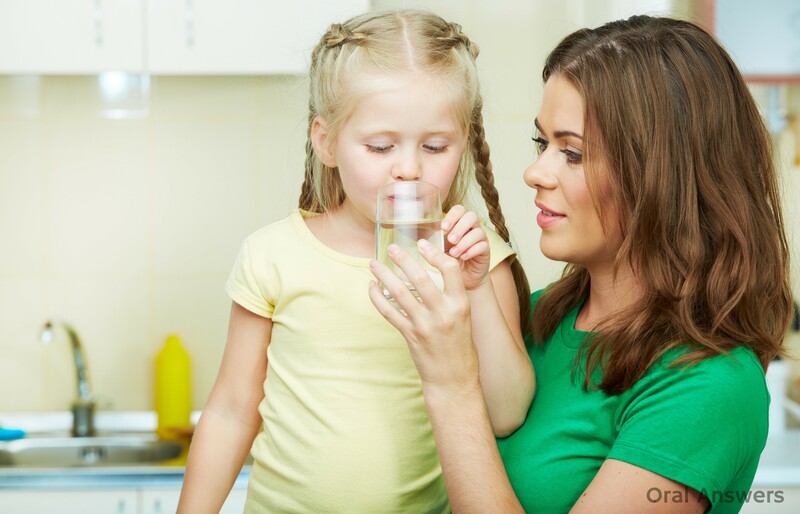 Should Both Kids Drink Fluoridated Water? When you look at my son and Leroy, you can see that some people would benefit greatly from fluoride while other people could end up with enamel fluorosis and be embarrassed because of their teeth. In an ideal situation, my son wouldn’t have to drink the fluoridated water. In fact, he would probably give his fluoridated water to Leroy so that he could get a double dose of dental protection. Unfortunately, water fluoridation is an all-or-nothing deal. You can’t selectively fluoridate certain people’s water because that would be construed as discrimination. This problem has led me to a lot of thinking. It made me wonder if water fluoridation is the best way to get fluoride to kids like Leroy. Is Water Fluoridation the Best Method? There are alternatives. Switzerland has had some success fluoridating the salt. This would be relatively easy to do. In 1924, Morton started putting iodine in salt. They did this because iodine deficiency is the leading preventable cause of mental retardation. Salt fluoridation does have its drawbacks, which I will discuss in another article, but it is something to think about. Since we began adding fluoride to water over 60 years ago, a lot has changed. We are now surrounded by toothpastes with fluoride, mouth rinses with fluoride, and floss that is coated in fluoride. Fluoride is even found in many of the packaged foods and drinks we consume. I think we are ingesting too much fluoride. Apparently that is the prevailing opinion, one which brought about the recent recommendations to reduce the amount of fluoride in our drinking water. As you can see from what I’ve written above, I am both for and against water fluoridation. One might say that although I’m in favor of using fluoride in appropriate doses, I see some definite problems with the mass water fluoridation that we see across much of the country. Where do you stand? Please share your thoughts in the comments section below. Thanks for reading! The fluoridation of drinking water is one of the cruelest hoaxes ever perpetrated against the public in the history of mankind. Isn’t it strange, doctors cannot force one person to take a drug, yet the government wants to force everyone to be drugged with fluoride, a prescription drug, against their will and with no medical supervision, no control over how much you consume and no treatment for side effects. 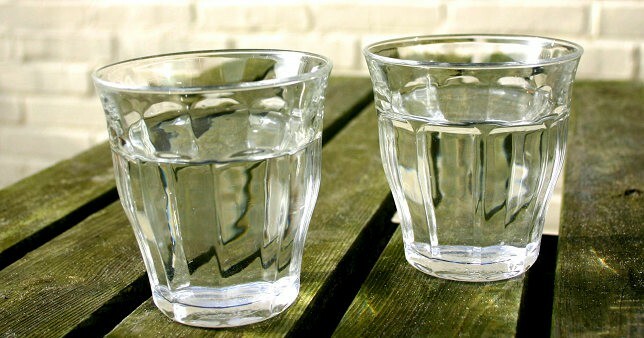 If you want fluoride in your water, put it in your own glass of water, leave the rest of us out of it. Hi jwillie6 – I would agree with what you say in your comment except for one thing: Fluoride is found naturally-occuring in most of the world’s water. Many times, there is a higher concentration of fluoride found naturally in water than there is in “artificially” fluoridated water. You can view a map here of everywhere in the world that has more than 1.5 PPM of fluoride found naturally in the water supply. That’s 1.5 times more fluoride than most communities add to their water. I don’t think it’s fair to call it a cruel hoax when all water contains some fluoride. That’s the problem when they add Sodium Fluoride which is rat poison and industrial waste product, something is wrong. Natural is fine but its not what they are adding to the water. So yes Its very very fair to call it a hoax. You need state what type of fluoride is good and what type is bad you can’t lump all the types of fluoride into one group. Hi John – For other people who are reading this and are interested, here’s my earlier reply to John’s comment regarding whether or not sodium fluoride is rat poison. The main thing that we’re interested in is the fluoride ion. Both sodium and calcium won’t harm our bodies in such small quantities. I hope that helps! Let me know if you have any other questions. Thanks for your comments, John! Agree I don’t want any in my water too. Calcium Fluoride is natural but its not what they are putting in the water. What they are putting is sodium fluoride this is what they use for Rat poison…would you let your son brush his teeth with Rat poison? Hi John – In my reply to your other comment, I answered your questions about whether or not it is rat poison. I do let my son brush with fluoridated toothpaste, yes. There are many large scientific studies to show that that drinking fluoridated water has no effect on cavity reduction and to show that it causes cancer and other health problems. The best source for scientific information on fluoridation can be found here: (www.fluoridealert.org). If fluoride were “proven,” there should be evidence of its success in Kentucky, which has been 100% fluoridated for over 40 years. Kentucky, however, leads the nation in the number of dental cavities in children, and in the number of completely toothless adults, according to government records. The same ineffectiveness is evident in many states and cities. Most of Europe (16 countries) has considered and has rejected fluoridation and is 98% fluoride free. The WHO (United Nations) reports that they have a better tooth decay rate than any fluoridated country. First, in my article supporting water fluoridation, I mentioned a review of 216 studies that ultimately showed water fluoridation does reduce cavities. Sure, some of the studies may not have shown a reduction, but an overwhelming majority did, and overall the results did show a reduction in cavities. I believe that 216 individual studies do carry some weight. Water fluoridation is just one piece in the big puzzle to reduce cavities. Perhaps people in Kentucky are eating more sugar, or not brushing and flossing as often or as well as the other 49 states. I’m not sure why this is, but I do believe the overwhelming evidence that water fluoridation does reduce cavities. I do see some problems associated with water fluoridation that I pointed out in my article against water fluoridation. Thanks for your comment, jwillie6! Have a good weekend. Please tell me HOW IN GODS NAME can you base a thesis or for that matter any RESPECTABLE conclusion on a study that took over 3,000 STUDIES DONE OF FLUORIDE THREW OUT ALMOST ALL OF THEM 93% to be exact and out of the 216 left the vast majority were graded as Level C “POOR QUALITY WITH A RISK OF BIAS.” None reached the highest quality (Level A)? So to base your work on at best C+ work of bias and poor quality studies (from government & industry funded or run studies) is not GOOD WORK OR EVEN MODERATE WORK! NO PROFESSOR ( THAT ISNT PAID FOR BY COL-GATE, ALCOA, ETC.) WOULD EXCEPT THAT KIND OF GARBAGE FOR A PAPER! And HERE IS A LETTER from the head of the study after the fact because they were disturbed on how people misleading THE PUBLIC with STATEMENTS kinda like yours! And come on now that review was done 12 years ago THEIR HASN’T BEEN ANY NEW STUDIES OR REVIEWS COME OUT? NRC 2006 REVIEW? The 24 studies that HAVE SHOWN WITHOUT A SHADOW OF A DOUBT THAT FLUORIDE INTAKE IS LINKED TO LOWER IQs? Why do you support and supposedly give your child a toxin that kills kids IQs? EPA admits that fluoride is a NEUROTOXIN category 3 which is substantial evidence with multiply independent lab tests! Professor Trevor Sheldon, MSc, DSc, FMedSci. In my capacity of chair of the Advisory Group for the systematic review on the effects of water fluoridation recently conducted by the NHS Centre for Reviews and Dissemination the University of York and as it founding director, I am concerned that the results of the review have been widely misrepresented. The review was exceptional in this field in that it was conducted by an independent group to the highest international scientific standards and a summary has been published in the British Medical Journal. It is particularly worrying then that statements which mislead the public about the review’s findings have been made in press releases and briefings by the British Dental Association, the National Alliance for Equity in Dental Health and the British Fluoridation Society. I should like to correct some of these errors. 1) Whilst there is evidence that water fluoridation is effective at reducing caries, the quality of the studies was generally moderate and the size of the estimated benefit, only of the order of 15%, is far from “massive”. 2) The review found water fluoridation to be significantly associated with high levels of dental fluorosis which was not characterised as “just a cosmetic issue”. 3) The review did not show water fluoridation to be safe. The quality of the research was too poor to establish with confidence whether or not there are potentially important adverse effects in addition to the high levels of fluorosis. The report recommended that more research was needed. 4) There was little evidence to show that water fluoridation has reduced social inequalities in dental health. 5) The review could come to no conclusion as to the cost-effectiveness of water fluoridation or whether there are different effects between natural or artificial fluoridation. 6) Probably because of the rigour with which this review was conducted, these findings are more cautious and less conclusive than in most previous reviews. 7) The review team was surprised that in spite of the large number of studies carried out over several decades there is a dearth of reliable evidence with which to inform policy. Until high quality studies are undertaken providing more definite evidence, there will continue to be legitimate scientific controversy over the likely effects and costs of water fluoridation. Thanks for your balanced perspective on fluoridation. Though fluoride presumably helps prevent cavities, I’m a firm believer in allowing people the freedom to decide whether to consume fluoride. I just read that the government is recommending that the amount of fluoride be reduced in municipal water supplies. Hi Rachel – You make a valid point. Yes, the U.S. government is moving towards lowering the amount of fluoride in public water supplies by about 30%. Thanks for your comment! Thanks, Rachel! Good job on the oral hygiene. Whatever the reason, it’s good that you’ve never had a cavity. I’ve had some in the past, but I think it had more to do with my sweet tooth than the lack of fluoride in my well water growing up. Tom, Thanks for the informative site. I have to agree with Rachel about freedom of choice on this issue. Tom when you and others are talking about “fluoride” I don’t often see the distinction made between naturally occurring “calcium fluoride” which isn’t added to water supplies, “sodium fluoride” which is a different compound added to 10% of water supplies and hydrofluosilicic acid or sodium silicofluoride which are added to the remaining 90% of water supplies. Do you have any evidence via research that hydrofluosilicic acid, sodium silicofluoride or sodium fluoride have the same dental effects as calcium fluoride. Also, since the CDC noted “[L]aboratory and epidemiologic research suggests that fluoride prevents dental caries predominately after eruption of the tooth into the mouth, and its actions primarily are topical for both adults and children” (CDC, 1999, MMWR 48: 933-940). Doesn’t this information that suggests only topical and not systemic benefits kill the idea that fluoride compounds of any kind that are ingested are of any good to us? Hi Steve – You’re right, I don’t make the distinction between the different types of fluoride. I am mainly concerned with the fluoride ion (the anion), which breaks apart from the positive portion of the molecule (the cation – sodium, calcium, silicates, etc.). You can check out the PDF for the reference. I hope that helps, Steve. Let me know if you have any other questions. Thanks for your comment! I understand the science behind the fluoride ion that you mentioned. However, I question the attributing the decay rates in those cities mentioned to fluoride, specifically. Can you confirm or debunk the WHO research on the gradual decay rates of teeth worldwide despite whether the countries are fluoridated or not for me? My other concerns are about the silicofluorides, specifically and how they react in the human body differently than sodium fluoride. It seems that various silicofluorides make up around 90% of the chemicals used in water fluoridation and sodium fluoride makes up around the other ten. I’ve never seen silicofluorides specifically mentioned in any of the research that I have come across. This topic concerns me and I really appreciate the information you provide. Hi Steve – I can confirm the WHO’s research into the decline of tooth decay independent of water fluoridation. That was one of my main pieces of evidence when I argued against water fluoridation in one of my classes last year at dental school. The fact that tooth decay is declining independent of water fluoridation shows that perhaps we are getting enough fluoride from our toothpastes, rendering water fluoridation much less effective. I think I side with you on that point. All I know about the effectiveness of certain types of fluoridation comes from the study I pointed out in my previous comment. It may be that silicofluorides do not dissociate as much as the simple salt, sodium fluoride does. As far as I know, silicon does not pose any health risks. This article on Wikipedia even points out that silicon may be a trace necessary nutrient for certain living organisms. As far as contamination goes, I went a little into this as well as the water quality standards in a previous article about whether or not water is fluoridated with toxic waste. Thanks for your comments, Steve. I appreciate your concerns. It would be nice if dental students learned about all sides of the fluoridation debate rather than just about how great water fluoridation is. Article is written by a moron…..Fluoride has a very minimal topical effect and is not considered an anti-bacterial/anti-microbial. The less well off you are in this country, the more likely it is that you are being over-exposed to fluoride. The incidence of somebody losing tooth surface is 100 times more likely than the 1 potential surface/person it may save. Funny that it’s use is NO LONGER endorsed and is found to be only minimally beneficial as a topical treatment. You are 400% more likely to develop certain types of cancer from life long exposure to Fluoride because it is a by-product from mining and processing chemicals and ores contaminated with radioactive isotopes. You are also twice as likely to break bones as a young adult based on constant intake of Fluoride. If you think your kid is protected by spitting out Fluoride toothpaste, think again. The soft palette is very porous and many things can be absorbed directly into the bloodstream via that pathway. Most people are exposed to fluoride every day by simply taking a shower. The warmer the water is, the greater the rate of absorption.The effects of exposure are cumulative over a lifetime and your bones infuse it chemically in an ion exchange. It is very similar to the way a water softener works except your body will build new bone over the top of Fluoridated bone and it’s permanent. – You state that fluoride is no longer endorsed. Who is no longer endorsing fluoride? Almost every major health organization in the United States endorses water fluoridation. – What study states that you are 400% more likely to develop cancer? Is this caused by fluoride simply from the water, or other exposures to fluoride? – You state that the effects of exposure to fluoride from taking a shower are cumulative over a lifetime. What exactly are these effects? Thanks for taking the time to leave a comment on this issue that you have strong feelings about. I’d love to hear your answers to my questions so that we can both learn some more about this issue. Tom, I think John has a valid point. Naturally occurring fluoride and sodium fluoride are not the same. They simply aren’t. They behave differently when combined. It’s not the same as separately consuming fluoride and sodium (or calcium). I’m not an expert in the chemistry or physiological changes related to sodium fluoride. But I believe that the attachment of fluoride to sodium or calcium (especially calcium) is the reason why the added fluoride ends up in the “wrong place” in the body and causes ill health effects (i.e. pineal gland, bones, etc.). There are reports of people ending up with calcification of the pineal gland from fluoridated water or brittle bones. So of course, the reason why fluoride is found there is because of calcium absorption. I’m not a fanatic, but I have done some reading on fluoride and have concluded that I’m pretty annoyed it’s added to my water because it’s awfully expensive to install a reverse osmosis system to remove it. I don’t want to say that I think fluoride is 100% bad, but I think water fluoridation is absolutely insane. There is no known systemic benefit to fluoride supplementation and there never was. The purpose was always to target the teeth. Topical application is sufficient to achieve whatever goal was trying to be achieved. Also, correct me if I’m wrong, but I believe fluoride absorption in the teeth only occurs in children… or at least has the most absorption during childhood. I think if fluoride used at all, is should be topically. However, there seems to be a lot of conflicting evidence as to whether or not fluoride actually is beneficial and prevents cavities. Yes, it hardens enamel (right? I’m in the medical field, not dental). But there have been a few good studies comparing neighboring towns where one town had fluoridated water or mandated fluoride treatment in schools and the other town had neither. The fluoridated people don’t have less cavities, in fact, they have slightly more. Those are probably the best types of studies you’ll find about this topic because they compare real world outcomes in nearly identical populations. I know people get fewer cavities than they did 50 years ago. If you don’t automatically say it’s because of fluoride, then it’s not quite clear why. Better promotion of oral care? Better compliance with dental cleanings? Better technology? If I look at the toothbrush I use now (Colgate Sonic… $5 and by far the best electric toothbrush I’ve used) vs. what I brushed with 20 years ago (glow in the dark Reach toothbrush with a novel angled head… and totally flat bristles), I don’t know how my teeth ever used to get clean. I don’t blame dentists for all of this. They were given misleading or incomplete information 50 years ago or so when water fluoridation started. Our government created this movement. I think it’s nuts that we pay China loads of money to take there waste products from there power plants so we can dump in into our water treatment stations. Ridiculous. Most of countries in Europe and other areas have banned water fluoridation, after extensive research. They tend to be step ahead of the US when it comes to science, drugs, chemicals, and safety. I think we should follow their lead, but of course, we will not. People in the US who object to fluoride are labeled crazy. Whereas other countries, who have thought objectively on this matter, must think we’re complete morons for continuing to consume this chemical. By the way, even if fluoride does prevent cavities, I don’t think we should put it in out water just because some kids eat junk and don’t brush their teeth. No, I don’t want that kid to be sick, but I don’t think the risk to the entire nation outweighs some potential benefit. What if water fluoridation were newly proposed today? The FDA would require extensive research to determine toxicity levels and to determine is there is a “safe” level… starting with rat studies. I guarantee that the testing would NEVER move past rat studies because this stuff is pretty toxic. It would never be approved today. By the way, some have linked the dramatic increase in hypothyroidism to water fluoridation, because the fluoride competes with iodine and throws the thyroid system way off. Hypothyroidism also causes weight gain. I don’t believe the obesity epidemic is solely caused by overeating. There seem to be environmentally induced hormonal issues involved (fluoride, BPA, others). P.S. Our own government now recommends that baby formula NOT be mixed with fluoridated water. I was shocked that they came out with that statement (not shocked at the recommendation, shocked by the acknowledgement of potential harm). If it’s not OK in baby formula, it’s not ok in breast milk and breastfeeding mom’s have got a real problem because most of our tap water contains fluoride. If it’s bad for babies, it’s likely bad for everyone. Just like BPA, lead, and everything else that initially was only labelled harmful to infants. Long story short: I think eventually water fluoridation in the US will go down as one of the dumbest, most stupidly dangerous things the government has ever done to this country. Wasn’t it just 5 years ago or so when the ADA swore up and down that mercury fillings were not harmful even though we knew any other source of mercury is harmful? Hi Cindy – Fluoride does get incorporated into the teeth as they are forming in young children – in adults, the teeth are already formed so the only way it can get incorporated into our teeth is topically. Thanks for sharing your opinion – I did write an article earlier regarding your statement about China dumping their waste into our water here: Is Water Really Fluoridated with Toxic Waste Fluoride? Cindy thank you for bringing up the thyroid issue. That is extremely important. A lot of people have undiagnosed thyroid disease. Sometimes it is because they have symptoms but normal labs and the docs don’t do a good clinical exam or they ignore their own clinical findings. This happened to me, the doc clearly thought I was hyperthyroid after an exam and seemed puzzled by the lab results. It was only months later that I finally had abnormal test results and was treated, in spite of being quite ill and having textbook symptoms at the first exam. I wonder if something about new things (like too much fluoride, esp of different type than naturally occurring in water) causing thyroid issues makes test results appear fine when the patient is clearly not. Tom, There are dental symptoms to thyroid disease, esp for kids (irregualr tooth eruption). you would be an awesom dentist if you studied up on this and could recognize it so you can recommend that patients consider this. Thank you for your articles on fluoride, I am currently researching whether or not to use fluoride products and you’ve been a big help. I believe fluoride is helpful to teeth and although I am against water fluoridation, it seems the evidence on fluoride’s long term health effects are inconclusive. In my research I’m only basing my decision on actually unbiased studies. This has been to be rather difficult because for every study showing that fluoride doesn’t make a difference on long term health, I find another study seems to prove that it does affect your health negatively. What are your thoughts on studies like this and this(pg 47)? From what I read these studies prove that fluoride is bad, correct? I would really appreciate it if you could explain these studies, I’m not a dentist, so I can’t understand exactly what these studies say or what the y prove. Thanks again! What are your thoughts on the studies linking water fluoridation to lowered IQ levels (Harvard / Chinese Research Team Collaboration, Wang et al 2007)? That coupled with the extremely high fluorosis rates today gives me quite a bit of pause about water fluoridation especially with all of our topical options. I used to be for it but I’m not anymore. Thanks for such a full answer concerning fluoridation. I enjoyed reading your articles, you give simple and understandable answers to issues that are very important to know for everybody. I too, have twofold opinion concerning the Water Flouridation, as it has both positive and negative aspects. How Often Should You Get Dental X-Rays Taken?